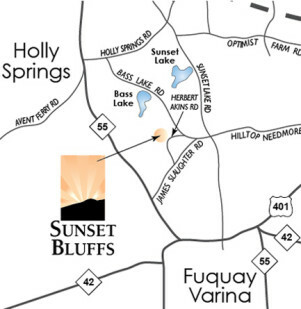 Sunset Bluffs offers something for everyone who likes to enjoy the outdoors – from taking a leisurely stroll along the tree-lined sidewalks, to playing in a nearby park or just gathering with a group of neighbors to enjoy a picnic in a natural area. Residents looking for more strenuous activity have the exclusive option of joining The Club at Sunset which features Sunset Bluffs Aquatic Center and its unmatched seasonally heated pool. 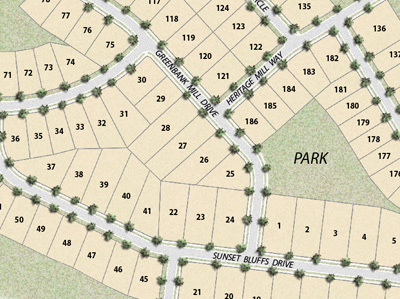 Additionally, residents interested in the golf and country club lifestyle have the option of joining Devil’s Ridge Club located just down the road. 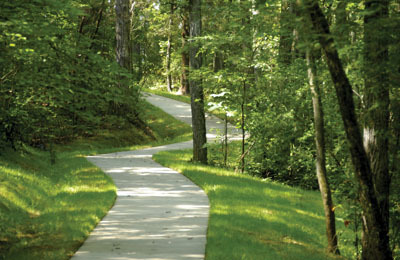 Please visit www.devils ridge.com for more information on golf membership opportunities. Click for a Virtual Tour of the Facilities! Devils Ridge is a private Golf Club within Sunset Ridge that features an 18 hole layout by renowned designer John Lafoy that is fun and challenging for golfers of every caliber. The driving range is adjacent to the course and on-site professionals offer lessons and manage a fully stocked golf shop. Mens and ladies leagues are available for regular play. The expansive Clubhouse is perfect for gatherings both large and small as well as a casual meeting place for friends and families. 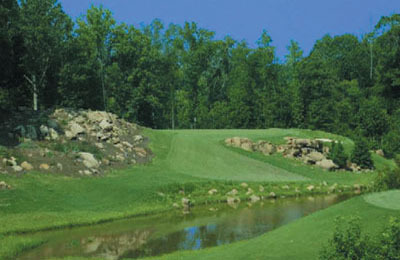 For more information, please visit devilsridgecc.com or call the Golf Pro Shop at 919.557.6100.